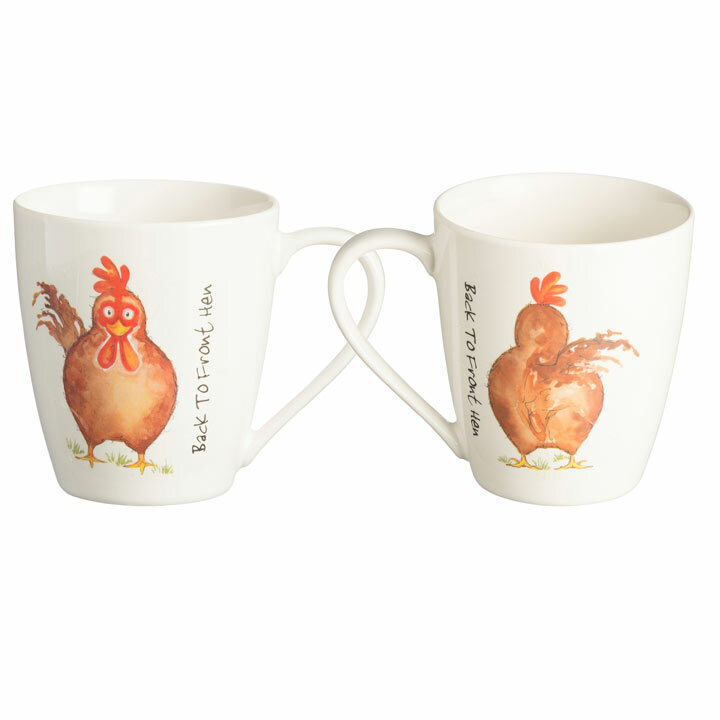 The fun back to front hen mug features beautiful hand-drawn illustrations of the back and front of a playful farmyard hen. Made from a fine china body which is strong and durable. Enjoy your favourite hot beverage in style. Capacity 350ml/12fl oz. Set of 6.